Los Angeles – Luke Perry, who gained instant heartthrob status as wealthy rebel Dylan McKay on “Beverly Hills, 90210,” died Monday after suffering a massive stroke, his publicist said. He was 52. In this June 29, 2001 file photo, actor Luke Perry poses during an interview in New York. A publicist for Perry says the "Riverdale" and "Beverly Hills, 90210" star has died. He was 52. “Luke Perry was a kindhearted and incredibly talented artist. It was an honor to be able to work with him. My thoughts and prayers go out to him and his loved ones.” – Leonardo DiCaprio, who co-stars with Perry in the upcoming film “Once Upon a Time In Hollywood,” via Twitter . – “I’m finding it hard to grasp that he will no longer be around to give long hugs and share his wisdom and kindness with all of us. I’m thinking of his family. His children. I pray for them to heal and find peace in this devastating loss. I just can’t believe it.” – “Riverdale” co-star Lili Reinhart, via Twitter . – “My heart is broken. He meant so much to so many. Such a very special person. I share my deep sadness with his family and all who loved him. Such a terrible loss.” – Jennie Garth, to People. – “I will forever bask in the loving memories we’ve shared over the last 30 years. May your journey forward be enriched by the magnificent souls who have passed before you, just like you have done here, for those you leave behind.” – Ian Ziering, via Twitter . – “My heart is broken. I will miss you so much Luke Perry. Sending all my love to your family.” – Molly Ringwald, via Twitter . – A father figure and mentor to the show’s young cast, Luke was incredibly generous, and he infused the set with love and kindness.” – Statement from “Riverdale” producers and cast. “Luke Perry was my 1st crush. Eh, more like obsession (I wore pins w his face on them to school) I used to dream of making it to LA just to meet him. I never got to, but I’ve always heard he was a really great person.” – Olivia Munn, via Twitter . – “Luke Perry. My teen crush. I’m glad I got to tell you. Sheepishly red faced and all. You were lovely and you gave great hugs. Grateful to witness and experience your kindness and warmth. #RestInPeace love. Blessings to your family.” – Rosario Dawson, via Twitter. – “The first time I met Luke Perry we talked about what kind of movie we wanted ‘Buffy’ to be. I asked if he’d ever seen ‘Near Dark’ and he gave me a look of HOW DARE YOU SIR and I knew we’d get along. Funny, committed, and always gracious. He shouldn’t be gone.” – Joss Whedon, via Twitter . – “Heartbreaking. Absolutely heartbreaking.” – Josh Gad, via Twitter. – “Luke Perry was a character actor in the body of a heartthrob. Much respect.” – Jon Cryer, via Twitter . – “Woke up this morning a ball of tears. Luke Perry was the kindest, warmest, most loving human being. He always went out of his way to make me feel safe, heard and seen in his presence. I love you so much Luke. Thank you for being a ray of light for me and so many.” – “Riverdale” actress Asha Bromfield, via Instgram . – “Will miss ya, ‘Dad.’ Grateful for the chance to have known you.” – Alyson Stoner, who co-starred with Perry in “Alice Upside Down,” via Twitter. – “Very saddened by this loss. 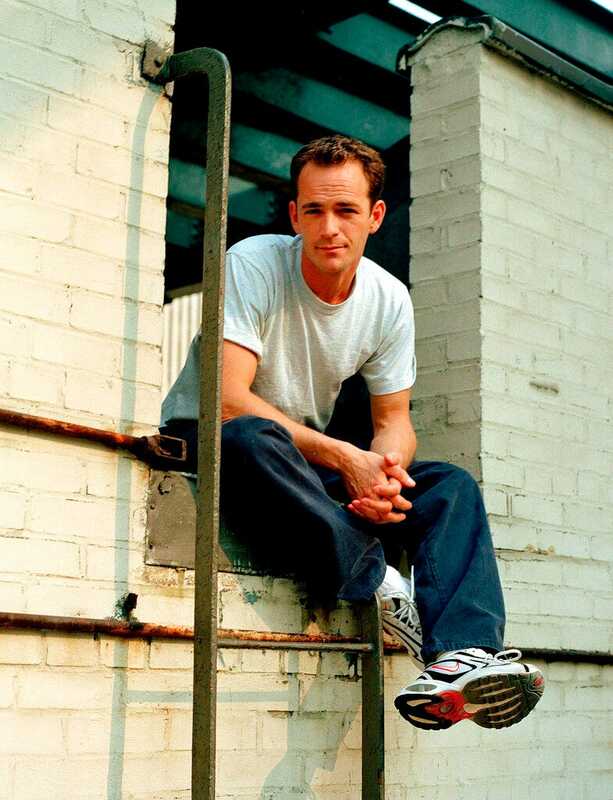 Luke Perry was not only a talented actor–but a warm, kind person who made his home state proud.” – U.S. Sen. Sherrod Brown, via Twitter . – “Rest Luke – the way you always treated me (and anyone I ever introduced you to, no matter how much they screamed and squealed with joy and excitement) – in peace.” – Donnie Wahlberg, via Twitter. – “RIP Luke Perry. My heart hurts for your family.” – Viola Davis, via Twitter . – “one of the kindest most gentle souls this world has ever known #riplukeperry” – “Riverdale” co-star Robin Givens, via Twitter. – “I abruptly woke at 4:30am thinking about you Luke & I couldn’t go back to sleep, then 5 hours later I hear you are gone. The tears won’t stop & they never ever will. You were that guy, that forever friend, we always had each others back & I will always remember you this way…” – “Buffy the Vampire Slayer” film co-star Kristy Swanson, via Twitter . – “So heartbroken about Luke. He was a father, brother, friend, and mentor. Each night before he had to shoot a scene, he’d call me and we’d talk about…everything. I will miss those calls. And my heart goes out to all his family and friends.” – “Riverdale” creator Roberto Aguirre Sacasa, via Twitter. – “Luke will always be part of the FOX family. Our thoughts and prayers are with his loved ones during this extremely difficult time. He will be deeply missed” – “Beverly Hills, 90210” network Fox, in a statement.